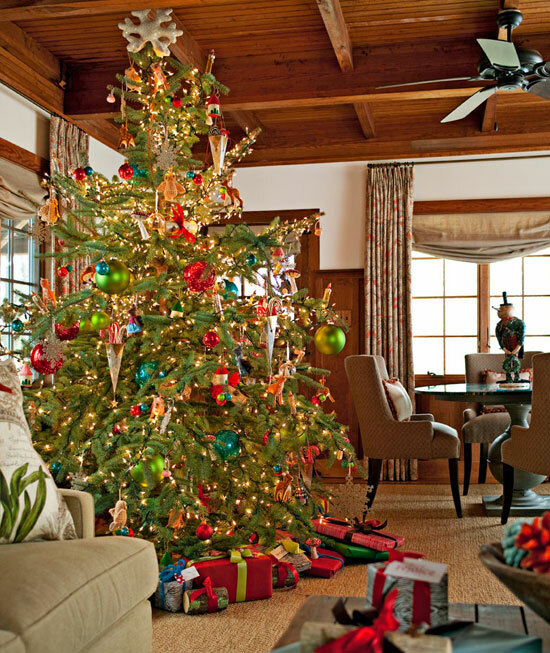 In this modern age when so many of us seem to veer away from "traditional" Christmas tree decorating schemes (myself included), I still appreciate homes that don classic holiday decor. 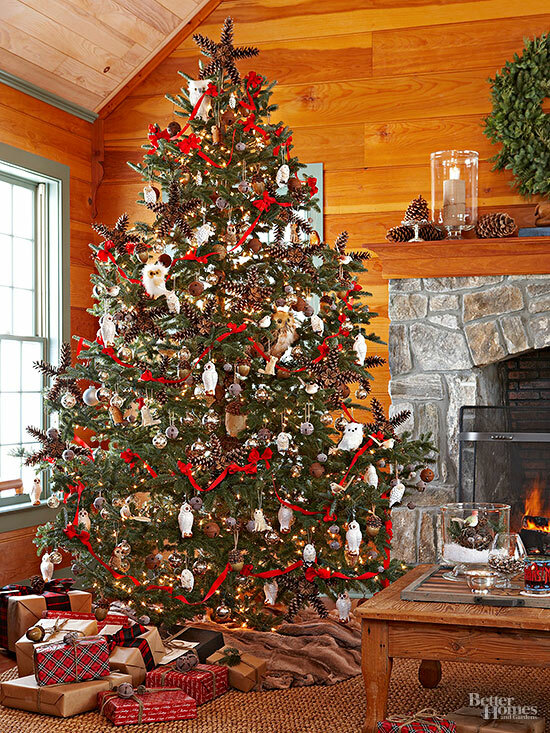 If you happen to be looking for inspiration for your own tree decor, take a look at these festive trees that have been decorated in a simple traditional manner. 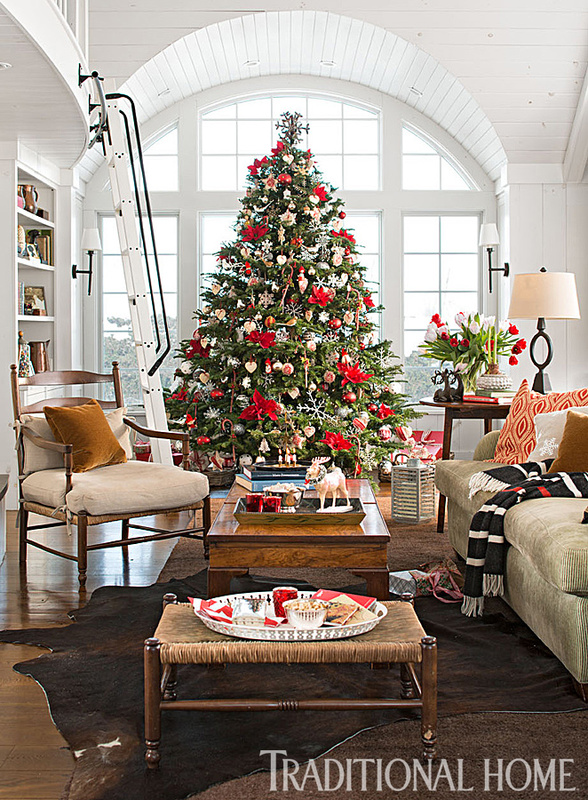 Red, white, candy canes, snowflakes, and pointsettias... classic Christmas tree trimmings that transcend styles or trends! Various shades of red, green, and blue cozy up this tree! Pine cones add a nice rustic touch paired with traditional red ribbon garland! There is just something nostalgic and heartwarming about traditional holiday decorating. It also never goes out of style!